Administrative law (or regulatory law) is the body of law that arises from the activities of administrative agencies of government which is distinguished from private law which originates from the activities of private individuals, corporations, and non-governmental entities. Government agency action can include rulemaking, adjudication, or the enforcement of a specific regulatory agenda. Administrative law is considered a branch of public law. As a body of law, administrative law deals with the decision-making of administrative units of government (including tribunals, boards, and commissions) that are part of a national regulatory scheme in such areas as international trade, manufacturing, the environment, taxation, broadcasting, immigration, and transport. As governments grew in size and power, there came the necessity of developing a framework of laws governing the administration of the public to keep order, ensure efficiency, preserve the economy, and to maintain a control over a burgeoning bureaucracy. As a framework which uses constitutional, judicial and political powers, administrative law expanded greatly during the twentieth century, as legislative bodies world-wide created more governmental agencies to regulate the increasingly complex social, economic, and political spheres of human interaction and to enhance the development of individuals, families, and communities. 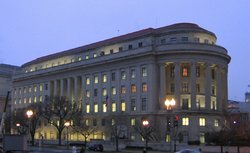 Administrative law in the United States often relates to, or arises from, so-called "independent agencies"- such as the Federal Trade Commission ("FTC"). Here is FTC's headquarters in Washington, D.C. In administrative law, rulemaking refers to the process that executive agencies use to create, or promulgate, regulations. In general, legislatures first set broad policy mandates by passing laws, then agencies create more detailed regulations through rulemaking. By bringing detailed scientific expertise to bear on policy, the rulemaking process has powered the success of some of the most notable government achievements of the twentieth century. For example, science-based regulations are critical to modern programs for environmental protection, food safety, and workplace safety. However, explosive growth in regulations has fueled criticism that the rulemaking process reduces the transparency and accountability of democratic government. Adjudication is the legal process by which an arbiter or judge reviews evidence and argumentation including legal reasoning set forth by opposing parties or litigants to come to a decision which determines rights and obligations between the parties involved. Coming into force (also called enforcement or enactment) refers to the date and process by which legislation, or part of legislation, comes to have legal force and effect. It is important to note that the process whereby a Bill becomes an Act is an entirely different process from that of bringing the Act into force. A Bill, even though passed by law makers, which does not amount to an Act cannot be of any force and effect. Typically, the process by which a Bill becomes an Act would include that the Bill be signed by the head of state, and that it be published in the Official Gazette, so that people know the law exists and generally releases it in the public domain. Generally speaking, most countries that follow the principles of common law have developed procedures for judicial review that limit the reviewability of decisions made by administrative law bodies. Often these procedures are coupled with legislation or other common law doctrines that establish standards for proper rulemaking. Administrative law may also apply to review of decisions of so-called quasi-public bodies, such as non-profit corporations, disciplinary boards, and other decision-making bodies that affect the legal rights of members of a particular group or entity. While administrative decision-making bodies are often controlled by larger governmental units, their decisions could be reviewed by a court of general jurisdiction under some principle of judicial review based upon due process (United States) or fundamental justice (Canada). Judicial review of administrative decision, it must be noted, is different from an appeal. When sitting in review of a decision, the Court will only look at the method in which the decision was arrived at, whereas in appeal the correctness of the decision itself will be under question. This difference is vital in appreciating administrative law in common law countries. The scope of judicial review may be limited to certain questions of fairness, or whether the administrative action is ultra vires. In terms of ultra vires actions in the broad sense, a reviewing court may set aside an administrative decision if it is patently unreasonable (under Canadian law), Wednesbury unreasonable (under British law), or arbitrary and capricious (under U.S. Administrative Procedure Act and New York State law). Administrative law, as laid down by the Supreme Court of India, has also recognized two more grounds of judicial review which were recognized but not applied by English Courts viz. legitimate expectation and proportionality. Australian administrative law define the extent of the powers and responsibilities held by administrative agencies of the Australian government. It is a common law system, with a highly significant statutory overlay that has shifted focus to generalist tribunals and codified judicial review. Australia possesses well-developed ombudsman systems, and Freedom of Information laws, both influenced by comparable overseas developments. Its notice and comment requirements for the making of delegated legislation has parallels to the United States. Australia's borrowings from overseas are still largely shaped by its evolution within a system of parliamentary democracy that loosely follows a Westminster system of responsibility and accountability. The development of administrative law over the past three decades has been described as a "quiet revolution." Administrative law's application are currently being influenced by the shift toward deregulation, and privatization. Canadian administrative law is the body of law in Canada addressing the actions and operations of governments and governmental agencies. That is, the law concerns the manner in which courts can review the decisions of administrative decision-makers (ADM) such as a board, tribunal, commission, agency or minister. The body of law is concerned primarily with issues of substantive review (the determination and application of a standard of review) and with issues of procedural fairness (the enforcement of participatory rights). Indian law refers to the system of law which operates in India. It is largely based on English common law because of the long period of British colonial influence during the British Raj period. Much of contemporary Indian law shows substantial European and American influence. 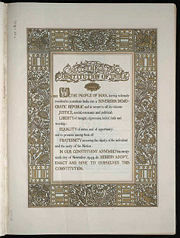 Various acts and ordinances first introduced by the British are still in effect in modified form today. During the drafting of the Indian Constitution, laws from Ireland, the United States, Britain, and France were all synthesized to get a refined set of Indian laws as it currently stands. Indian laws also adhere to the United Nations guidelines on human rights law and environmental law. Certain international trade laws, such as those on intellectual property, are also enforced in India. Indian civil law is complex, with each religion having its own specific laws which they adhere to. In most states, registering of marriages and divorces is not compulsory. There are separate laws governing Hindus, Muslims, Christians, Sikhs, and followers of other religions. The exception to this rule is in the state of Goa, where a Portuguese uniform civil code is in place, in which all religions have a common law regarding marriages, divorces, and adoption. It is the culmination of the advances in these six periods which give the American legal system the power over many government agencies which are organized under the executive branch of government, rather than the judicial or legislative branches. The departments under the control of the executive branch, and their sub-units, are often referred to as executive agencies. The so-called executive agencies can be distinguished from the many important and powerful independent agencies, that are created by statutes enacted by the U.S. Congress. Congress has also created Article I judicial tribunals to handle some areas of administrative law. The actions of executive agencies independent agencies are the main focus of American administrative law. In response to the rapid creation of new independent agencies in the early twentieth century, Congress enacted the Administrative Procedure Act (APA) in 1946. Many of the independent agencies operate as miniature versions of the tripartite federal government, with the authority to "legislate" (through rulemaking; see Federal Register and Code of Federal Regulations), "adjudicate" (through administrative hearings), and to "execute" administrative goals (through agency enforcement personnel). Because the United States Constitution sets no limits on this tripartite authority of administrative agencies, Congress enacted the APA to establish fair administrative law procedures to comply with the requirements of Constitutional due process. The dominant U.S. Supreme Court case in the field of American administrative law is Chevron U.S.A. v. Natural Resources Defense Council, 467 U.S. 837 (1984). The American Bar Association's official journal concerning administrative law is the ''Administrative Law Review''. The basis of French civil law was formed from the Code Civil or Code Napoleon which incorporated some of the freedoms gained by the people because of the French Revolution. Moreover, Napoleon introduced administrative law codes which fostered efficient governments and created public order. Most claims against the national or local governments are handled by administrative courts, which use the Conseil d'État as a court of last resort. This court acts as an arm of the French national government and is the supreme court for administrative justice as well as assisting the executive with legal advice. Administrative law governs the relationship between the State (in its various manifestations) and private citizens or organizations. The rules of administrative law are set forth in particular in the Code administratif, or Administrative Code, although - as with criminal law - there are also a large number of legislative and regulatory texts that stand alone, such as the texts governing the status and powers of industry regulators (most of which have the status of autorité administrative indépendante or AAI). Administrative law in France can be considered to comprise two main categories: general administrative law and sector-specific administrative law. Public law (Öffentliches Recht) rules the relations between a citizen or private person and an official entity or between two official entities. For example, a law which determines taxes is always part of the public law, just like the relations between a public authority of the Federation (Bund) and a public authority of a state (Land). Public law is normally based on the so-called Über-Unterordnungs-Verhältnis ("superiority inferiority relationship"). That means that a public authority may define what is to be done, without the consent of the citizen. (Thus, for example, if the authority orders a citizen to pay taxes, the citizen has to pay, even without an agreement.) In return, the authority has to abide by the law and may only order, if empowered by a law. In the Netherlands, administrative law provisions are usually contained in separate laws. There is however a single General Administrative Law Act (Algemene Wet Bestuursrecht or AWB) that applies both to the making of administrative decisions and the judicial review of these decisions in courts. On the basis of the AWB, citizens can oppose a decision (besluit) made by a public body (bestuursorgaan) within the administration and apply for judicial review in courts if unsuccessful. Unlike France or Germany, there are no special administrative courts of first instance in the Netherlands, but regular courts have an administrative "sector" which specializes in administrative appeals. The courts of appeal in administrative cases however are specialized depending on the case, but most administrative appeals end up in the Judicial Section of the Council of State (Raad van State). In addition to the system described above there is another part of administrative law which is called administratief beroep (administrative appeal). This procedure is available only if the law on which the primary decision is based specifically provides for it and involves an appeal to a higher ranking administrative body. If administrative appeal is available, no appeal to the judicial system may be made. Chinese law is one of the oldest legal traditions in the world. For most of the history of China, it has been based on the Confucian philosophy of social control through moral education, as well as the Legalist emphasis on codified law and criminal sanction. These influences remain in the Soviet-influenced system of the People's Republic of China and the German-influenced system of the Republic of China. Unlike many other major civilizations where written law was held in honor and often attributed to divine origin, law in China was viewed in purely secular terms and its initial appearance was greeted with hostility by many as indicative of a serious moral decline, a violation of human morality, and even a disturbance of the total cosmic order. Ordinary people's awareness and acceptance of ethical norms was shaped far more by the pervasive influence of custom and usage of property and by inculcating moral precepts than by any formally enacted system of law. As regards the Chinese belief in the cosmic order, it was held that correct behavior was behavior consonant with the immanent order which set boundaries to appropriate responses. Fa defines these boundaries while xing state the potential costs to the individual of exceeding them and impose penalties for these actions. Federal Maritime Comm'n v. South Carolina Ports Authority, 535 U.S. 743, 2002. (State soverign immunity bars the Federal Maritime Comm from adjudicating a private party's complaint against a nonconsenting state). Shalala v. Schaefer, 509 U.S. 292, 1993. (Whether provision in Medicare Act permits skilled nursing facilities to obtain judicial review to challenge the validity of Medicare regulations). Compagnie Alitalia, Lebon 44, 1989. (The executive branch has the duty to cancel illegal regulations, even if initially legal). Golaknath v. State of Punjab, 1967. (Parliament did not have the power to abrogate the fundamental rights and provisions on private property). ↑ Re Pochi and Minister for Immigration and Ethnic Affairs (1979) 2 ALD 33 per Justice Deane. Retrieved August 22, 2018. ↑ David Mullan in William Wade and Sir Christopher Forsyth (eds.) Administrative Law (Oxford, UK: Oxford University Press, 2000) defines it as "the body of law that establishes or describes the legal parameters of power that exist by virtue of Statute or residual Royal prerogative." This page was last modified on 22 August 2018, at 20:36.